IEEE AP/URSI Symposium 2016 will hold a panel discussion regarding the role of commercial simulators and multiphysics training in engineering electromagnetics graduate education. Regarding the first aspect, does the advent of commercial simulators lessen the need to train graduate students to explicitly solve Maxwell's equations (via, e.g., Green's functions and integral equations, complex-plane analysis, home-generated FDTD or FEM codes, etc.)? Aside from explicitly training students to go into computational electromagnetics (CEM), to what extent should all graduate students understand CEM, and should this training be deep (develop their own codes for sophisticated problems for research use) or shallower (develop small codes for some simpler problems as class exercises). Modeling and simulation that used to take months or years of work can now be done in hours - to what extent should we focus on the answer, and to what extent should we focus on the path to the answer. In addition, recent development in EM related R&D involves many aspects of Multiphysics simulation. For example, the dramatic increase in complicated materials and emphasis on nanostructures increases the need to understand material physics, non-trivial EM-material interactions, and quantum mechanics. Whether it be flexible antennas, microfludics, or nanostructures, increasingly exotic materials (natural or artificial / meta) are of interest, and the material response, often arising from semi-classical or quantum transport equations, becomes paramount. Students need to know a fair bit of solid-state physics and quantum mechanics to understand dynamic processes in these materials. Two-dimensional materials and photonic topological insulators are prominent examples wherein the traditionally-trained EM graduate student is ill-equipped. In the past, EM graduate students generally needed to augment their engineering courses with math courses, although now it seems physics has emerged as the area requiring the most "extra" knowledge. It is not always clear how to guide graduate students in these areas (how much math, how much physics, is needed in a degree where course work is not the primary emphasis). George W. Hanson (S’85-M’91-SM’98, F’09) was born in Glen Ridge, NJ, in 1963. He received the B.S.E.E. degree from Lehigh University, Bethlehem, PA , the M.S.E.E. degree from Southern Methodist University, Dallas, TX, and the Ph.D. degree from Michigan State University, East Lansing, in 1986, 1988, and 1991, respectively. From 1986 to 1988 he was a development engineer with General Dynamics in Fort Worth, TX, where he worked on radar simulators. From 1988 to 1991 he was a research and teaching assistant in the Department of Electrical Engineering at Michigan State University. He is currently Professor of Electrical Engineering and Computer Science at the University of Wisconsin in Milwaukee. His research interests include nanoelectromagnetics, quantum optics, mathematical methods in electromagnetics, and electromagnetic wave phenomena in layered media. Dr. Hanson is a member of URSI Commission B, Sigma Xi, and Eta Kappa Nu, and was an Associate Editor for the IEEE Transactions on Antennas and Propagation from 2002-2007. In 2006 he received the S.A. Schelkunoff Best Paper Award from the IEEE Antennas and Propagation Society. Dr. Hanson is coauthor of the book Operator Theory for Electromagnetics: An Introduction, Springer, New York, 2002, and author of Fundamentals of Nanoelectronics, Prentice-Hall, New Jersey, 2007. Dr. Hao Xin, Professor of Electrical and Computer Engineering at the University of Arizona. He is named an Arizona Engineering fellow in Aug. 2013. He joined University of Arizona since August 2005 as an assistant professor. He was promoted to tenured associate professor in 2009 and to full professor in 2012. He received his Ph.D in Physics from Massachusetts Institute of Technology in February 2001. From 2000 to 2003, he was a research scientist with the Rockwell Scientific Company. He was a Sr. Principal Multidisciplinary Engineer with Raytheon Company from 2003 to 2005. His primary research interests are in the area of microwave / millimeter wave / THz antennas, devices, circuits and their applications in wireless communication and sensing systems. His recent research activities have covered a broad range of high frequency technologies, including applications of new technologies and materials in microwave and millimeter wave circuits such as electromagnetic band gap crystals and other meta-materials, carbon nano-tubes devices, solid state devices and circuits, active or semi-active antennas, and passive circuits. He has authored over 250 referred publications and 14 patents (13 issued and 1 pending) in the areas of microwave and millimeter-wave technologies, random power harvesting based on ferro-fluidic nano-particles and carbon nanotube based devices. He is a senior member of IEEE and chair of the joint chapter of IEEE AP/MTT/EMC/COMM in Tucson AZ. He is a general co-chair of the 8th International Workshop on Antenna Technology. 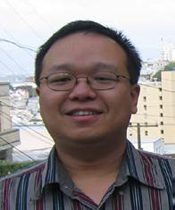 He also serves as an associate editor for IEEE Antennas and Wireless Propagation Letters. 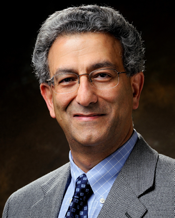 Nader Engheta is the H. Nedwill Ramsey Professor at the University of Pennsylvania in Philadelphia, with affiliations in the Departments of Electrical and Systems Engineering, Materials Science and Engineering, Physics and Astronomy, and Bioengineering. He received his B.S. degree from the University of Tehran, and his M.S and Ph.D. degrees from Caltech. 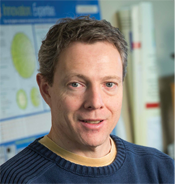 He has received several awards for his research including the 2015 Fellow of US National Academy of Inventors (NAI), the 2015 Gold Medal from SPIE, the 2015 National Security Science and Engineering Faculty Fellow (NSSEFF) Award from US DoD, the 2015 IEEE Antennas and Propagation Society Distinguished Achievement Award, the 2014 Balthasar van der Pol Gold Medal from the International Union of Radio Science (URSI), the 2013 Inaugural SINA Award in Engineering, the 2012 IEEE Electromagnetics Award, 2006 Scientific American Magazine 50 Leaders in Science and Technology, and IEEE Third Millennium Medal. He is a Fellow of six international scientific and technical societies, i.e., IEEE, Optical Society of America (OSA), American Physical Society (APS), Materials Research Society (MRS), International Society for Optics and Photonics (SPIE), and American Association for the Advancement of Science (AAAS). His current research activities span a broad range of areas including nanophotonics, metamaterials, nano-scale optics, graphene optics, imaging and sensing inspired by eyes of animal species, optical nanoengineering, microwave and optical antennas, and engineering and physics of fields and waves. He has co-edited (with R. W. Ziolkowski) the book entitled “Metamaterials: Physics and Engineering Explorations” by Wiley-IEEE Press, 2006. He was the Chair of the Gordon Research Conference on Plasmonics in June 2012. Christophe Caloz received the Diplôme d'Ingénieur en Électricité and the Ph.D. degree from École Polytechnique Fédérale de Lausanne (EPFL), Switzerland, in 1995 and 2000, respectively. From 2001 to 2004, he was a Postdoctoral Research Fellow at the Microwave Electronics Laboratory, University of California at Los Angeles (UCLA). In June 2004, Dr. Caloz joined École Polytechnique of Montréal, where he is now a Full Professor, the holder of a Canada Research Chair (CRC) Tier-I and the head of the Electromagnetics Research Group. He has authored and co-authored about 600 technical conference, letter and journal papers, 15 books and book chapters, and he holds several patents. His works have generated over 15,000 citations, and he is a Thomson Reuters Highly Cited Researcher. Dr. Caloz was a Member of the Microwave Theory and Techniques Society (MTT-S) Technical Committees MTT-15 (Microwave Field Theory) and MTT-25 (RF Nanotechnology), a Speaker of the MTT-15 Speaker Bureau, the Chair of the Commission D (Electronics and Photonics) of the Canadian Union de Radio Science Internationale (URSI) and an MTT-S representative at the IEEE Nanotechnology Council (NTC). In 2009, he co-founded the company ScisWave, now Tembo Networks. Dr. Caloz received several awards, including the UCLA Chancellor’s Award for Post-doctoral Research in 2004, the MTT-S Outstanding Young Engineer Award in 2007, the E.W.R. Steacie Memorial Fellowship in 2013, the Prix Urgel-Archambault in 2013, the Killam Fellowship in 2016, and many best paper awards with his students at international conferences. He has been an IEEE Fellow since 2010 and an IEEE Distinguished Lecturer for the Antennas and Propagation Society (AP-S) since 2014. Since June 2015, he has been an Associate Editor of the Transactions on Antennas and Propagation of AP-S. In 2014, Dr. Caloz was elected as a member of the Administrative Committee of AP-S. He is has been a Distinguished Adjunct Professor at King Abdulaziz University (KAU), Saudi Arabia, from May 2014 to November 2015. His research interests include all fields of theoretical, computational and technological electromagnetics, with strong emphasis on emergent and multidisciplinary topics, including particularly metamaterials, nanoelectromagnetics, exotic antenna systems and real-time radio. W.C. Chew received all his degrees from MIT. His research interests is in wave and field physics, specializing in fast algorithms in computational electromagnetics in the last 20 years. After graduating from MIT in 1980, he worked at Schlumberger-Doll Research. In 1985, he joined U Illinois Urbana-Champaign, was the director of the Electromagnetics Lab at UIUC from 1995-2007. During 2000-2005, he was the Founder Professor at UIUC, 2005-2009, the Y.T. Lo Chair Professor, and since 2013, the Fisher Distinguished Professor. During 2007-2011, he served as the Dean of Engineering at The University of Hong Kong. He has authored and co-authored three books, over 400 journal papers, and over 500 conference papers. He is a fellow of various societies, and an ISI highly cited author. In 2008, he received the CT Tai Distinguished Educator Award from IEEE AP-S, in 2013, elected to the National Academy of Engineering and in 2015, ACES Computational Electromagnetics Award. Susan C. Hagness received the B.S. degree with highest honors and the Ph.D. degree in electrical engineering from Northwestern University in 1993 and 1998, respectively. 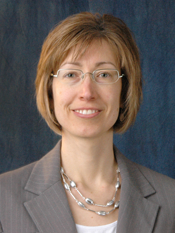 Since 1998, she has been with the Department of Electrical and Computer Engineering at the University of Wisconsin-Madison, where she currently holds the title of Philip D. Reed Professor and serves as the Associate Dean for Research and Graduate Affairs in the College of Engineering. She is also a Faculty Affiliate of the Department of Biomedical Engineering and a member of the UW Carbone Comprehensive Cancer Center. Dr. Hagness was the recipient of the Presidential Early Career Award for Scientists and Engineers (PECASE) presented by the U.S. White House in 2000. In 2002, she was named one of the 100 top young innovators in science and engineering in the world by the MIT Technology Review magazine. She is also the recipient of the UW-Madison Emil Steiger Distinguished Teaching Award (2003), the IEEE Engineering in Medicine and Biology Society Early Career Achievement Award (2004), the URSI Isaac Koga Gold Medal (2005), the IEEE Transactions on Biomedical Engineering Outstanding Paper Award (2007), the IEEE Education Society Mac E. Van Valkenburg Early Career Teaching Award (2007), the UW System Alliant Energy Underkofler Excellence in Teaching Award (2009), the Physics in Medicine and Biology Citations Prize (2011), the UW-Madison Kellett Mid- Career Award (2011), and the UW-Madison College of Engineering Benjamin Smith Reynolds Award for Excellence in Teaching Engineers (2014). She was elected Fellow of the IEEE in 2009. She has held numerous leadership positions within the IEEE Antennas and Propagation Society (AP-S) and the United States National Committee (USNC) of the International Union of Radio Science (URSI). She was the Technical Program Chair of the 2012 IEEE International Symposium on Antennas and Propagation and USNC/URSI National Radio Science Meeting in Chicago, IL, and most recently completed a term as Chair of the IEEE AP-S Fellows Evaluation Committee. 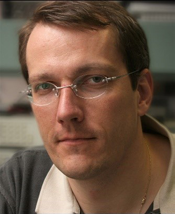 Christophe Fumeaux (M’03–SM’09) received the Diploma and Ph.D. degrees in physics from the ETH Zurich, Switzerland, in 1992 and 1997, respectively. From 1998 to 2000, he was a Postdoctoral Researcher with the School of Optics, University of Central Florida, Orlando. 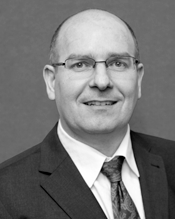 In 2000, he joined the Swiss Federal Office of Metrology, Bern, Switzerland, as a Scientific Staff Member. From 2001 to 2008, he was a Research Associate and Group Leader with the Laboratory for Electromagnetic Fields and Microwave Electronics, at ETH Zurich, Switzerland. Since 2008, he has been with The University of Adelaide, where he is currently a Professor with the School of Electrical and Electronic Engineering. His current main research interests concern computational electromagnetics, antenna engineering, THz technology and the application of RF design principles to optical micro/nano-structures. Prof. Fumeaux has served as an Associate Editor for the IEEE Transactions on Microwave Theory and Techniques from 2010 to 2013. Since 2013 he has been serving as Senior Associate Editor and since 2015 as Associate Editor-in-Chief for the IEEE Transactions on Antennas and Propagation. He was the recipient of the ETH Silver Medal of Excellence for his doctoral dissertation. From 2011 to 2015, he was a Future Fellow of the Australian Research Council. He was the recipient/corecipient of best journal paper awards, including the 2004 ACES Journal and 2014 IEEE Sensors Journal, as well as best conference paper awards at the 2012 Asia-Pacific International Symposium on Electromagnetic Compatibility (APEMC 2012) and the 17th Colloque International sur la Compatibilité Electromagnétique (CEM 2014). Several of his students have received student awards with joint papers, including IMS 2006 & 2007, iWAT 2014, AMS 2014, IEEE Australia Council 2014, NEMO 2015, ICEAA 2015. Prof. Levent Gürel (Fellow of IEEE, ACES, and EMA) received the M.S. and Ph.D. degrees from the University of Illinois at Urbana-Champaign (UIUC) in 1988 and 1991, respectively, in electrical and computer engineering. He worked at the IBM Thomas J. Watson Research Center, Yorktown Heights, New York, in 1991-94. During his 20 years with Bilkent University, he served as the Founding Director of the Computational Electromagnetics Research Center (BiLCEM) and a professor of electrical engineering. He is an Adjunct Professor at UIUC. Prof. Gürel is the Founder and CEO of ABAKUS Computing Technologies, a company that is geared towards advancing the use of cutting-edge computing technologies for solving difficult scientific problems with important real-life applications and societal benefits. Among the recognitions of Prof. Gürel's accomplishments, the two prestigious awards from the Turkish Academy of Sciences (TUBA) in 2002 and the Scientific and Technological Research Council of Turkey (TUBITAK) in 2003 are the most notable. 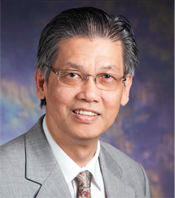 He is conferred the UIUC ECE Distinguished Alumni Award in 2013. 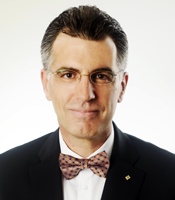 He is named an IEEE Distinguished Lecturer for 2011-2014 and was invited to address the 2011 ACES Conference and the 2015 Mediterranean Microwave Symposium as a Plenary Speaker and a TEDx conference in 2014. He has been organizing and serving as the General Chairman and Editor of the biennial Computational Electromagnetics International Workshops held in 2007-2015. He is the coauthor of a monograph titled “The Multilevel Fast Multipole Algorithm (MLFMA) for Solving Large-Scale Computational Electromagnetics Problems” published by Wiley-IEEE Press. In 2015, Prof. Gürel received the IEEE Harrington-Mittra Award in Computational Electromagnetics.